This essay was originally written for EXPLORATIONS, and is dedicated to its editor, Maurice DuQuesnay: devoted guardian of the flame. When I arrived at Columbia University as a college freshman in 1963 I had no idea what a university was. I was a voracious independent reader but I had been poorly educated at several dreadful public schools in South Portland, Maine and, for the final two bland lonely years of senior secondary school, in a banal suburb of New Haven, Connecticut. If I thought about life experience or personal pathways at all, I regarded college as the next platform for a mediocre career as a competitive swimmer. The name sounded mellifluous and I didn’t want to seem even more ignorant and provincial than I actually was, so I agreed. I brought a Norman Mailer novel in case the class was boring. It wasn’t. It was electrifying, transcendent, beautiful. Professor Trilling entered a large timeworn amphitheater crowded with two hundred or more undergraduates, marched purposefully to the lectern, quietly set a battered handsome leather attaché case on a wizened oak table, withdrew several volumes and a cockled sheaf of notes, looked up at our large assembly, smiled, and said quietly in a gentle erudite voice: “Gentlemen.” He then commenced an hour-long lecture of stunning brilliance. He referred occasionally to his notes, read frequently from each of the volumes he’d placed on his desk, and in his protracted extemporaneous discourse created exquisite prose. Light shone from him as he spoke. Not what some people call an aura, but a iridescent gleaming as if his extraordinary engagement with other people’s imagination, ideas, and ideals somehow was constructing within and about his own person a species of energy field, an incandescence of zeal, a supple lucency of fervor. He structured his lecture as the first in a series of introductions to a two-semester course on twentieth-century European and American fiction. He talked to us that afternoon about Sir James Frazier and The Golden Bough, Friedrich Nietzsche and The Genealogy of Morals, Fyodor Dostoyevsky and Notes from Underground, Leo Tolstoy and The Death of Ivan Ilyich, Sigmund Freud and Civilization and Its Discontents, and the livid literature of Joseph Conrad, Thomas Mann, Andre Gide, Franz Kafka, Isaac Babel. He wanted us to consider how radically the imaginative arts, literature in particular, celebrate, institutionalize, and yet subvert the authority of civilization. He said that throughout our course we would investigate the magnitude and the magnanimity of culture’s deep distrust of itself. His learning was immense. I never before had encountered intellect, knowledge, and acumen of such capaciousness, depth, and cogency in an actual, existing person. In the books to which I had fled throughout my childhood and early youth I had visited with many masterful dreamers and fantasists: disembodied historical beings I collectivized, regarded as heroes of the human spirit, mythologized, and termed Authors. This was the first time in my life I had come into the presence of a fully individuated living genius. Professor Trilling’s appearance was as striking as his speech. He was neither delicate nor vigorous. He was lithe, rather small, not muscular yet quietly forceful, elegant in carriage and graceful in stride, decidedly cerebral in character and spiritual in mien. Clearly, though, he was a person who had sought and was comfortable with power. His hair had whitened not as a wizening of elderliness but as an access of wisdom made palpable. His eyes, very bright, were set inside hollowed sockets darkened with a scholar’s fatigue and a deep soul’s deep suffering. His face was anything but effete. Anyone could see this man had lived broadly and had known pain and fulfillment, remorse and elation. He was consummately courteous, yet profoundly confident. He was august, and he knew it. His range was enormous. He spoke about societies, polities, landmarks of scientific, political, and artistic achievement, fashions, movements, implications, anthemic meanings, the past, the contemporary, and the eternal – all with surpassing ardency. Had you been there that day (any day, I later learned), you would have encountered exaltation. He lived within and spoke from beatitude: a secured dominion of universal, ubiquitous, and utterly cherished cultivation. His thought, supernally complex, simultaneously synthesizing and originating, evocative, impassioned, intensely spiritual, seemed less an allocution than a work of hallowed music: a requiem, a passage of Sanctus, not an academic prolegomenon. He made thinking and feeling the most consequential and dramatic of activities. He elevated scholarship and sensibility into sublimity. Sublimity supported with catholic, fascinating, and exactly explanatory referents. With seemingly inexhaustible fertility he summoned into his lecture precisely pertinent, illuminatingly germane thinkers, scientists, statesmen, filmmakers, composers, painters, poets, dramatists, and, most of all, novelists. In that venerable fusty auditorium he made the wide world of humanistic culture not a museum or mausoleum but a scintillating tableau of urgent fundament that mattered most vitally to him, to us, and the entirety of our species. Our commonalty within and beyond our individuation underlay everything he taught us. He insistently selected the plural pronouns. Never did he say I, or deploy any other displacing referent: you, she, it, their, them. Always he invoked we, us, and our. This made for a startlingly generous socializing and empowering across his large congregation of undergraduate students. A gentle challenge, too. We could not fail to understand that offering us inclusion in his wonderful community of consciousness conferred upon us solemn responsibilities of conscience and character. Not to mention work. With high and thrilling resonance we were being called to serious and sustained study. His edification was a miracle. His mentation was a marvel. His voice was mesmerizing. Soft, cadenced, his parlance seemed liquid, a fluent unbroken ebulliently articulate flowing. His speech was nearer to susurration than elocution, yet it carried effortlessly throughout our sizable room. It helped that nearly everyone was rapt. I rarely moved my eyes away from him. Whenever I did, I could see almost all my classmates were perched forward, fixed to the edge of their seats, intently focused, emotionally and morally moved. This man, this teacher, somehow projected his soul directly into one’s own by means that felt not pedagogic but akin to the divine. He made a prolonged oratory of sacral homily. He knew his power. He understood it, and had become visibly comfortable with it. His eyes twinkled with aware pleasure in his mastery. He projected the vastly satisfied sense of a great craftsman in love with his calling and at joy with his work. Almost all my classmates were transfixed. All but one. He ostentatiously read a newspaper, loudly flexed and folded its pages. Professor Trilling never glanced at him, never broke his rhythm, just sharply snapped the fingers of his left hand toward him although the rude reader sat far to the side of the theater seemingly beyond the lectern’s line of sight. He snapped loudly once, twice. When the student looked up, Professor Trilling did not. Still addressing us, peering and speaking uninterrupted into our midst, he aimed his left forefinger at the discourteous inattentive one and pointed toward the exit door. The student gathered his belongings and skulked away. Professor Trilling continued his lecture, didn’t miss a beat. He spoke for nearly 50 minutes that passed in a trice, then concluded with a breathtaking flurry of summary lustrous intelligence. He briefed us on our next class and assigned us numerous intriguing readings with which to prepare. The class hour struck, a corridor bell rang over his final words. He nodded, said “Good afternoon, gentlemen,” folded his papers, repacked his briefcase, and departed. Not until then did anyone stir. Awe, wonder, obeisance. I could not move. My roommate laughed, hauled me up, and marshaled me toward our next class, required Mathematics 101, a nightmare. Midway through I surreptitiously left, wobbled around our campus bustling with teachers, staff, and students scurrying, chatting, playing Frisbee, eating snacks, sunbathing in the September sunshine. For a long while I lay supine on a manicured grassed quadrangle in front of our central library and stared lovingly at a long string of canonical authors’ names carved in limestone frieze like single-word invocations to the majesty of scholasticism. My life had been changed forever by a being whom I knew to be real, but believed might also be seraphic. Time passed. As the afternoon drew on I stumbled into our imposing library, made my way to the card catalogue, found Dewey numbers, crept into the stacks, and discovered that my seraph had written a great deal and was universally regarded as a thinker and critic of world-historical importance. Late for swim practice, rightly fearful of our imperious coach, I borrowed Matthew Arnold and sprinted to our locker room. The swimming pool was the perfect place to be. Alone, anonymous, supported and sustained by the water, stroking and kicking reflexively, looking at nothing and no one, I recovered the lecture’s magnificent content and intoxicating tone. Surging through lap after lap, I realized with a rush of exhilaration that the art of story and the art of speaking, the arts I always had loved, were not idle entertainments. They were, as Professor Trilling engaged them, hallowed repositories of ultimate meaning. And the love of them constituted not a pernicious evasion of obligation and duty, but a field of study – nay, a profession. Late that night I telephoned my beloved father, an inveterate burlesque joker, and asked if he ever had heard of Lionel Trilling. I didn’t take my Dad’s advice. 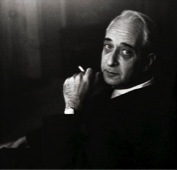 I devoted the remainder of my college years to staying as close to Lionel Trilling as I could. My swimming suffered, but I learned ever so much about literature, life, and how important it is for a young person to find a hero, accede to reverence, breathlessly venerate, and respectfully emulate. My teammates found it odd that I attended every class Professor Trilling taught. Well, every class he would allow me to attend. He said I could not audit his graduate seminars. Despite his reputation for coldness he said this kindly, even fondly. My classmates considered it a matter for hilarity that I timed as many of my movements as possible to intersect with Professor Trilling’s. I knew his routines: when he walked from his apartment on Claremont Avenue to his office, when he walked between his office and his classes, when he returned home. I tried to make my pathways cross his, and frequently succeeded. Acquaintances and strangers hovered nearby to observe and, when he was out of earshot, to deride me. But I believe they secretly admired and maybe envied my hero-worship, and wished they too had discovered an inspirer. In those days most young people went to university with the hope that they would find muses and motivations to inform and animate their consciousness and career. Looking back, I can see that Professor Trilling swiftly discerned my madness and was aware of my friends’ empathetic mockery. I think he felt amused by my infatuation. He less and less looked surprised to be encountered, greeted, and asked after. His eyes sparkled a bit, he smiled, at first faintly, then more openly. Increasingly he invited me to walk with him. He asked after my interests and habits, whom I was reading, what I was exploring in the city. I never dared ask after his personal affairs but we did discuss topical events, his visions and views, national politics, and the burgeoning revolution in American and European populist arts, especially movies and music. I must have been the most annoying of creatures, but I gradually became an accepted familiar. This was the era of the singular greatness of Columbia’s Department of English. Edward W. Said, Steven Marcus, Quentin Anderson, F.W. Dupee, Carl Hovde, John D. Rosenberg, Kenneth Koch, Michael Wood, Edward Taylor, George Stade, A. Kent Hiatt, Howard Schless, Robert Alter, John Morris, Morris Dickstein, Homer Brown, Leo Braudy, Werner Sollors, Michael Rosenthal, Herbert Leibowitz, and many other exceptionally gifted Professors, Associate Professors, Assistant Professors, and Lecturers were joined together in arguably the world’s finest and most collaborative community of research and teaching scholars in the vital field of cultural studies. Many became aware of Professor Trilling’s peculiar young devotee. Several went far out of their way to befriend me. Edward Said was especially kind and caring. He never asked why I so cherished my idol. No doubt he had felt similar instinctions for his mentors during his youth. When I haunted the corridors outside Professor Trilling’s always busy office, just across the hallway from his, Edward frequently beckoned me into his study, equally busy, usually far busier; then, during my sophomore year, into his home and his family. Fred Dupee adopted me too. Many of the professors looked after me. I believe this to have been our nation’s warmest and most accepting university faculty. Certainly it was among the most distinguished. Those were halcyon years. I quit organized athletics, made few friends, did almost nothing that college students normally do, forsook the university’s distribution requirements, enrolled in more and more classes in English and comparative literature, read like crazy, wrote essay after essay, many stories, then multiple drafts of a novel. My teachers were wondrously gifted, riveting, elevating. Life in and around their redoubts in Hamilton Hall and Philosophy Hall felt electric. Professor Trilling hadn’t much time to give and many claimants upon it, but he often let me talk with him about literature, psychoanalysis, and society. He especially let me ask him about Victorian England, the era and locus toward which I more and more flowed. His converse always sounded and felt like a work of consecration. The moment we parted I made furious notes. I still have many of them in my filing cabinets, cramped condensed recordings now in fading ink on decomposing yellow sheets. The next morning as I approached for my diurnal interception he waved from afar. He had the volume in his hand, held it toward me with a flourish. “I thought we might just meet this morning. Here you are, my boy.” In her stately hand she had inscribed: With my greetings, and the hope that you may enjoy it. Ever afterward we spoke comfortably together about Mrs. Trilling. I read everything she had published. One day I told him she reminded me of Mary Ann Evans: George Eliot’s birth name. He threw his head back, deliberated for a spell, and said: “She reminds me of Mary Ann Evans too.” He radiated pride in her, and pleasure that a young person in an ever more mindless hedonistic era should find cause and will to admire her. At the outset of my junior year I became introduced to drink by a wayward classmate. Gin-and-tonics. My friend was an exile from Hungary, urbane, cynical, rather churlish, greatly more experienced in life than I, much looked up by us suburban bourgeois fellows. He told me gin-and-tonics are suave, cheap, and odorless on the breath. He assured me many, in fact most, serious writers drank them, so I did too. This was an important juncture in my learning. I learned I cannot drink liquor. I thought he would never forgive me, but he mentioned my disgrace only once, weeks later, apropos of no seemingly relevant context. “Foul stuff, gin,” he said. “Particularly during daylight hours.” Not until recently did I learn he knew liquor as a demon in his own life. No one who interacted with him in his professional life could have guessed. One day later that term I had an impromptu but mighty impulse. I summoned reserves of courage previously unknown and knocked on his office glass. When he opened his door, he looked unsurprised to see me, smiled, said: “Yes?” I breathed deeply, I’m sure audibly, gulped, and asked if he and Mrs. Trilling might like to come to dinner one evening at the apartment my roommate and I shared. I never before had seen him look taken aback. Then he beamed. He seemed delighted. “Gracious, how thoughtful of you. We would love to come to dinner.” He searched his daybook, chose a date not far off, wrote down our telephone number, and said how pleased Mrs. Trilling would be. That turned out to be a courtesy. We lived in a dilapidated set of rooms six stories above street level accessed by a dingy elevator that rarely worked. I had not known Diana suffered acutely from acrophobia. Heights were a torment to her. Neither Lionel nor she ever mentioned this seemingly prohibitive fact. Doom, gloom. But no worries. It was a more communal age, we were young, and this was an occasion, a triumph, in which we all shared. Everyone we knew united with us in our happiness: Lionel and Diana were living legends on our campus. Our friends exuberantly pooled their resources, moved every credible item of furniture and furnishing down their buildings’ flights of stairs, up ours. Vases appeared, a tarnished candelabrum, a serviceable table cloth, four napkins, four mismatched napkin rings, two ash trays. I bought what a salesman assured me were suitable wines: two jugs of abhorrent burgundy from California. Our debutante friend was a skillful cook, and she said she would recruit a helper. She promised to prepare a main course and dessert, both with sauces. Her sous-chef would make alluring appetizers and accompaniments. Much tumult ensued. Time fled. The day dawned. Dreadful weather. I cleaned our apartment like crazy, scraped and scrubbed a generation’s crud. Our chefs arrived in early afternoon to begin their work. Hordes stopped by to have a look, give advice, buck us up. One brought flowers for our table. Another delivered a multitude of candles and a tankard of incense, which we thankfully forgot to ignite. Darkness fell. Terrible storm outdoors. The Trillings did not telephone to cancel. Our clocks ticked loudly. The hour drew nigh. The elevator squealed. The doorbell rang. I looked at my hands: not trembling. I looked at my face in the mirror: not drooling. Tried to appear adult, composed, confident. Swung open the door. At my mother’s insistence I had rehearsed saying How good of you to join us, won’t you please come in? But I was tongue-tied with gladness, so I just gave her an unplanned spontaneous hug. She laughed aloud, strode into our place, looked about happily. I took their coats and introduced them to their chefs. The Trillings were amazed and amused that these good young women, eminently successful students, were helping us take care of them but not joining us for dinner. Diana talked with them at length as they completed their cookery, asked about their experiences before and at university, their opinions, hopes, dreams, fears. My roommate and I sat with Lionel and listened happily. Lionel often interjected with questions and comments. Then they turned to us, asked about our aspirations, our work, who was teaching us well, which courses we liked, which seemed less effective, what mattered to us in the worlds of economics, politics, the arts, what we were seeing and doing in New York City, how we were managing our early years away from home. We all drank wine. Somehow magic took place. There was no stiffness, none at all. The Trillings talked with us openly and fluidly. It turned out no undergraduate students ever before had invited them “into their lives,” as Diana put it. They seemed fascinated to visit with us. We all pressed our friends to join us for dinner, but they refused. Our sous-chef had to attend a concert. Our head chef looked at her watch grandly, and said: “O, I never dine before 9. It’s vulgar.” Lionel grinned, Diana hooted. Dinner was delicious. I think the Trillings had a very good time. They knew we lionized them, they enjoyed it, they authentically were curious about us, our generation, what it was like to study at Columbia, our teachers, our families, our outlooks, our plans for the future. They loved being asked about their world. I asked them so many questions. Their patience and pleasure seemed then, and seems now, otherworldly. As does their passion. They were passionate about everything: people, ideas, books, our time, the past, tendencies, trends, transitions, tectonic shifts. They loyally asked for several servings of everything and heroically drank all our wine, which must have been execrable. We couldn’t afford much. In later years I spent a considerable amount of time with the Trillings. I always wanted to thank them for being so gracious and good to us, but we never mentioned that wonderful evening again. When I graduated from college I had accrued more than 90 units in English, far in excess of what a major field was meant to entail. This disproportion extended across my curriculum. I had failed to meet many expectations. In particular I had fulfilled few of the distribution mandates in mathematics and the sciences. I knew why he felt this way. He regarded me as an enthusiast, perhaps a sweet person, not a scholar, not orderly, not a potentially professorial person. I didn’t chafe at his objection, respected him for telling me, and never experienced a young man’s wounded Just you wait, I’ll show you reaction. I felt neither injured nor insurgent because I hadn’t applied for the award, hadn’t expected it, and had scarcely a clue about what I intended my career and destiny to be. I had made application to Columbia’s graduate program solely because I loved my studies too much to contemplate their end. I did believe that, given Lionel’s dismay and my increasing age – I was all of 22 years – I should become more discreet about my worshipfulness. I never again enrolled in any of his classes, stopped intertwining our paths, and only seldom visited his office. He who was the embodiment of tact understood and I believe approved of these decisions. In time, however, I returned to one of his classrooms. In September of the second year of my graduate study he asked me to serve as a preceptor in his twentieth-century literature course. I was to conduct sectional classes of his large lecture audience, and mark and grade his students’ term essays. He would review my comments and grades, and add brief remarks and a grade concurrence or adjustment to each paper. With his habitual generosity he said: “I will return all the essays to you before distributing them to their authors so that we can ensure you approve and accept my addenda. I consider it essential that our work on their behalf be mutual and collaborative.” This to a novitiate from the preeminent man of letters in the English-speaking world. My handwriting was execrable then, and remains so. In the course of our first conversation about my preceptorship I asked him what I could do to protect his students from my illegibility. “I don’t know that you can protect them, unless you type your responses. In any event, your orthography is far worse than your penmanship.” He was right. My spelling is horrid, and in those days there existed no computers and no systems of spell-check software. His colleague and close friend, Quentin Anderson, another of my beloved teachers, was sitting in Lionel’s office as we spoke. Professor Anderson was celebrated on our campus for his unique mingling of brilliance, polysemy, portentousness, Johnny Cash basso voice, and boundless respect and affection for his students. Everyone who knew him well called him Q. Years earlier during a raucous night in our freshman dormitory I dubbed him Pontifex, and the name stuck for a season or two. I asked for their counsel about making comments on essays and awarding marks. They talked with me for a considerable time. Their advice was suffused with ardor. Throughout their long dithyrambic dialogue I kept thinking: How they love teaching. How they love our college. How they love our profession. The early autumn light was fading. Morningside Heights is pleasing to all senses in all seasons, but especially during the fall months. The window was open. Crisp air flowed in, redolent with the scents of the Hudson River, chestnuts, turning leaves, someone’s brazier, chicken and pork cooking somewhere. Students played softball on lawn below, children dashed about on the steps of Low Library. The fountains plashed, the children’s shrieks and laughter echoed off the brickwork. Q told me I always should expect of all students who came my way nothing less than the highest measure of engagement with their texts and the fullest possible response to the topics they had chosen. Later that semester, across the bottom of the first response sheet I ever composed for a student essay, Lionel wrote with red ink in his tightly spaced, almost crimped, unobtrusively stylish script: I agree with Mr. Glassman’s assessment, and apologize for not typing mine. The late nineteen-sixties made a turbulent era. Those who did not conduct their late youth or adulthood during that period often conceive that those years must have been a time of great happiness. Liberating new mores, all manner of emancipations, wondrous technologies, rapturous artists, joyous radicalism abounding. Those who did live during that brief but potent epoch more often felt confused and anxious than energized and elevated. Especially those who felt devoted to institutions that foster continuity and constancy rather than conflict and change. My sole contribution to the spirit of the sixties was miniscule. I long had noticed that Lionel almost never referred in his teaching or his essays to contemporary cinema or music. I was profligately interested in both. One day at the behest of yet another fit of impulse, I knocked softly on his door, as was my wont, entered his office, and gave him a copy of Sgt. Pepper’s Lonely Hearts Club Band. These were the original years of vinyl imprints. He gasped, grasped the album, and clutched it, literally clasped it, to his heart. “Thank you. I am so glad. I have wanted this for months. But how could I buy it? How does one such as I do that? Ride the 7th Avenue IRT to Sam Goody’s?” Which is exactly what I had done, though I hoofed it back. He returned to the album. “The Beatles create uncanny haunting harmonics, but we do hear John Lennon’s voice above all the others. Certainly in She’s Leaving Home.” Paul sang the poem’s verse lines, John the brokenhearted but satirized parents’ recitative. “What sweetness there is inside that voice, quite indoors, deeply denied but undeniable. That young man interests me.” He stood abruptly, shook hands once again, conveyed Diana’s greetings, and walked off to his work. That was shortly before all hell broke loose at Columbia. The epical student uprising, linked in part to the tragic war in Vietnam, in part to the tragic domestic terrorism of the Civil Rights campaign’s vicious resisters, in part to the polar shift in three generations’ and multiple subcultures’ world views, led swiftly to a small then a large student “strike” against our university and the physical occupation of its major administrative offices and classrooms. The administrators and civil authorities reacted obdurately, as the actions’ organizers doubtless had anticipated, forecast, and desired. Attitudes rapidly fractionalized and radicalized. Multiple groups arose. For some reason that I can’t recall 45 years later, each faction adopted variously colored armbands worn as insignia, brandished as designators. Classes ceased. The faculty polarized almost as rapidly and fully as mindlessly as the students. Some affiliated with one or another student entity, sans-culotte or conservative. Others became honest brokers, go-betweens, well-meaning but preposterous sorts of servants: collectors of garbage, distributors of food and water or other beverages, cleaners and replenishers. Diana has written a definitive account of this episode and its otherwise inexplicable phenomena in a dazzling essay entitled On the Steps of Low Library. Lionel believed these events and the repercussions they engendered constituted a crisis authentic and momentous. He considered that Columbia might not be able to reconvene its activities. He organized a meeting in his home. Subsequently he and a small group of the university’s most illustrious professors approached the president and trustees. The next day he told me that in the midst of the chaos and peril swirling all about our academy, all about the life of mind in our glorious megalopolis, our indispensable nation’s cultural and financial capital, the president kept the delegation waiting, dispatched his secretary to distribute canapés, and instructed her to ask them if they would care for tea. Lionel laughed heartily: by then his untoward fears had become calmed. He chuckled at the president and himself, spoke admiringly of Charles Dickens’s unfailing contemporaneity, adopted a mournful Cockney accent, and quoted one of Dickens’s greatest lines: worser and worser. I never before had heard him speak a single syllable of our Yiddish vernacular, let alone one of the many Yiddish words for buttocks. 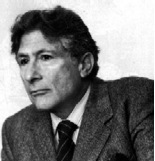 One day Edward Said walked into my office. He looked distraught, but in his customary courtly manner he asked: “Am I interrupting you?” I assured him he was not, invited him to sit, and offered him a cookie. He shook his head No, paced back and forth across my tiny threadbare carpet, and repeatedly dug his fine pianist hands through his then-abundant curly raven hair. He was referring to his first book. He had not yet written any of the extraordinary works that would compel the world’s attention and bring him global celebrity. Lionel must have forgotten that Edward’s volume was displayed in his collection of castoffs. He never would intentionally inflict a discourtesy or cruelty, particularly upon a colleague and friend whom I knew from his lips he profoundly admired and liked. I had thought Edward Said the most confident of beings. Certainly he was among the most talented, charismatic, and lovable of men. He projected consummate self-belief, buoyant self-assurance, infinite vitality, categorical virility. But there he stood, devastated, crushed – or rather sat, slumped, for he had flung himself into my sole visitor’s chair and leaned against its left sidearm slouched with grief. He took several digestives from the packet on my desk, munched absently, and spoke, at first slowly, then more and more rapidly, about his childhood, his father, his mother, his lifelong struggle to secure his parents’ understanding and approval of their prodigally gifted son. Three decades later I rediscovered many of the gentle, vulnerable, sorrowing memories he shared that afternoon reflected in his captivating memoir, Out of Place. I knew he did. He had told me he both understood and feared it. I never spoke with Edward about this conversation. The bell had sounded, and we had to depart for classrooms in separate buildings. Days passed. He was even then an exceptionally busy person. I did not create another opening to renew the subject, despite the fact we shared a great deal of time together during the ensuring months and years. I am not certain if Edward ever learned how fully Lionel understood his power and to some degree dreaded its magnificence. Fortunately a somewhat complimentary occasion did arise several months later. It was the dead of winter, always a bleak but beautiful time in New York City. Returning to campus after a pickup football game, I had run into a minor spot of trouble in Morningside Park. A group of aspiring young hooligans blocked me on a walkway, bristled a bit, and demanded I give them my wallet. They weren’t persuasively frightening – they looked as though they might be thirteen years old, maybe fifteen. I had come to the park to play ball, I was wearing miserably dilapidated cotton warm-ups, and I hadn’t carried any money with me. I explained this gently to the would-be tough guys. Their leader said: “Okay, meat. Then give us your football.” I blatantly lied, said the ball wasn’t mine. He asked whose it was. I pointed shamelessly at a group of the largest men we could see playing on a nearby field. The headman grinned, shook his head, and asked me what job I did and why on earth I’d come into such a dangerous park. I grinned back, explained my work, told them they ought to stay in school, make something of themselves, not end up in a wasteland prison. I offered to help them with their homework and tests, and told them where my office was. We all knew they’d never show up, but we parted with surprising solidarity and warmth. On my way home I stopped at my office. Edward saw me, beckoned me into his, and I told him my tale. Lionel overheard us laughing, opened the door, peered at us with a comically inquisitive gaze, and with his unvaryingly exquisite courtesy asked: “May I join you?” Edward jovially waved him in and from a hidden bottle of Lebanese wine poured glasses for us as I recapped the story. Rain fell, turned to hail, rapped sharply on the windowpane. We toasted, drank our good wine, and spoke together against the backdrop of the showering sleet about how complex, mysterious, tragic, yet startlingly hopeful were our wonderful city’s seemingly internecine racial antagonisms. Many who have written about Lionel Trilling describe him as reserved, remote, even dissociative toward those who adulated him. I never found this to be true. Certainly not that late December afternoon in Edward Said’s comfortable office. I told them that ever since I could remember I had dreamed intermittently but with terror severe and sustained about being confined alone in an ornate elevator fitted with all manner of gilded appointments. We are ascending tranquilly. Suddenly the cable snaps and plunges the opulent carriage downward, downward, faster and faster. It never hits bottom, I never experience the crushing impact. Just plunge with fearsome interminable speed downward, ever downward, faster and faster. We spoke for a time about several clear, indisputably demeaning Freudian interpretations of this baroque nightmare narrative. Then I asked Lionel if he shared Edward’s and my susceptibility to a single chronic lurid dream. I called it an unwelcome secret sharer – for the three of us shared a love of Joseph Conrad and his often ominous, spooky literature. In 1972 Congress created a program it called The Jefferson Lecture in the Humanities, an annual program intended to bring before the nation our country’s most distinguished scholars of humanistic knowledge and wisdom. Congress legislated that this be the highest honor the federal government bestows for distinguished intellectual achievement in the humanities. Lionel was named to deliver the program’s inaugural lecture. The morning after the announcement of his appointment I was buying produce from a local purveyor. Diana came into the store. I effusively expressed my joy at the news, and showered her with congratulations. One subject led to another. She ruminated about public figures they had come to know, what she believed about this one, knew about that one. Then she asked me about the Department, relations among the College’s faculty and those based in the university’s continuing studies and graduate divisions, the young teachers’ interests, our students’ concerns. She knew I had launched a new course on the literature of autobiography. She asked about its etiology, the allure and salience of the subject, which texts I was asking the students to study, why this one, why not that one. We spoke for a long while about the invention of the self, the essential westernness of this construct, its intimate relationship with certain scientific, economic, political, and theological constructs, the singular consequence of Augustine and Rousseau, Montaigne and Mill, the stark differences among biography, diary, memoir, correspondence, and autobiography, and how interesting it is that Sigmund Freud authored one of the world’s least sensate, least self-aware, least interesting life narratives. We reverted to the Jefferson Lecture. I asked had Lionel a theme in mind? She brightened. “Why, this is telepathy. He intends to speak about mind itself: mind in all its distinctively modernist manifestations.” She outlined what she thought he meant to discuss. His purposes and instances sounded fascinating, and of momentous importance. She smiled at my enthusiasm, patted my arm again. “Lionel never will say so, but he appreciates his young men’s faith in him. Truly he does.” I laughed internally, because Lionel often asserted in lectures and in conversation that we infallibly may know we are prevaricating when we catch ourselves prefacing our falsehoods with such reassuring qualifiers as truly or honestly. Much time had passed. We apologized to the patient greengrocer and said goodbye to one another. I paid for my purchases, and Diana turned to her shopping. As I was walking out the doorway, she called out: “I’m glad to see you are eating your vegetables, dear.” She cackled, waved archly, and pulled her shopping list out of her bulging bag. I remember thinking as I walked home that it felt euphonic and somehow consoling that the Trillings shopped for provender as did we all, carried out quotidian life in our community, transacted daily in our locality, and seemingly derived much pleasure from doing so. I knew with prophecy confident and certain that my great teacher’s national address would make a triumph. It did. One evening in 1975 I answered the telephone in my home. It was our Department’s chairman calling. Lionel had fallen ill, his condition was serious, and he would like me to look after his undergraduate class for a time. Lionel would speak with me about his wishes for the course. He or Diana would give me directions about the works under study and my conversations about them. I should do what I thought best about the next day’s lecture. Lionel’s illness was very serious. He was not able ever to return to his class. From the outset I realized it was impossible for me to manifest Lionel, replace him, or become a substitute for him, so I did not try. I undertook to explore the texts he had chosen in his spirit and with his objectives, but in my own manner with my own voice. I have no doubt his students felt frustrated that he could not be there, but their discretion about their disappointment and their compassion for his declining health were instinctive and unqualified. They were solicitous for his welfare, and exceptionally patient, sympathetic, and friendly toward me. Initially I met with Lionel for brief periods to confer about his wishes for his course. In time he no longer could do this with comfort, so Diana became our intermediary. In our discussions and in his converse that Diana delivered, his commitment to his undergraduate students’ mental and moral development was absolute, and absolutely astonishing. His fame was at its zenith. He was by then surely the world’s most admired and most influential public intellectual. He had a vast audience and many passions. He knew he was living the final months of his distinguished life. Yet his principal professional devotion remained assigned, as always it had been, to college teaching and to young people’s enlightenment. During the period when he could speak with me directly, we met for short times in his bedroom the afternoon or evening before I was to introduce his students to each of the books he had placed on his syllabus. I then would lecture for a week or longer about the text and the author we had discussed. I returned to him when it was time to conclude one reading and launch another. Invariably he instructed me that I should teach exactly and exclusively as I thought best. I begged him to share with me his wishes for each of the authors and texts he had chosen. Always his paramount wish was that his students receive each of the writers and each of the works not as stiff soulless academic icons but as rhapsodies: talismans primal and consecrated, monuments of mind and heart alive, eternal, and holy. He wanted his students to fall profoundly and forever in love with thought, creation, work, individuality and community, the dominion of civilization and our struggle against it, human culture and our longing, our intemperate need, perhaps our obligation, to live outside and beyond it. One night – he was in palpable but unmentioned discomfort – he spoke with intense emotionality about our calling and our college. His illness had altered his appearance and the timbre of his articulation. It had not diminished his intellect one whit. There too soon came a time when Lionel no longer could continue his mentoring. I maintained our previous schedule with Diana. We met in their living room. She never discussed and tried heroically to conceal her grief and exhaustion. Each week she talked with me resolutely not about her husband’s and her own suffering but about his class, the authors, the books, their place in our culture, their subversion of our culture. I acknowledged that it is. She returned to her seat, drank from her endless supply of tea. “Certainly this is the case with writing.” She spoke long and luminously about how she was born to write, how fortunate she was to have been born when a woman can write and publish freely, how blessed she was in her marriage to a husband immeasurably supportive of the vocation she needed and cherished. One week she surprised me by saying that Lionel enjoyed being read to. Would I be willing to do this from time to time? She said he had asked me to. We were not given much time. His condition was worsening rapidly, and its remedies made it impossible for him to receive visitors. We never made mention of his illness, or how he was faring day by day. I just read, he listened, we talked rarely. He requested eclectic material. Scenes from The Iliad, The Odyssey, King Lear and Don Quixote, a number of Wordsworth’s poems, many passages from The Prelude, several of Hopkins’s verses and letters, whole chapters of Huckleberry Finn. He told me how thankful he was that the royalties for the famed introduction he had written to one firm’s edition of Huckleberry Finn had allowed him for many summers to take his family to Europe. He regularly asked for Matthew Arnold’s works (but never Freud’s). He retained so much in his marvelous memory, but he loved hearing Arnold’s prose and prose recited aloud: he enjoyed, he said, Arnold’s vocalized presence. Above all others, he asked for Henry James. We began each visit with the opening of Portrait of a Lady – he called it the best beginning in literature – and Ralph Touchette’s farewell to Isabel Archer: And remember this, that if you’ve been hated, you’ve also been loved. Ah, but Isabel – adored! We spoke rarely, but Lionel often made me laugh when we were having those final quiet times together. Humor, rich funniness, was an element of his identity conscious and conspicuous but somehow often missed by his disciples and detractors. He seemed especially to like his readers to choose passages from among their own favorite writers and passages. I gave this matter much thought, and brought to our visits works I thought he might cherish as fully as I: pages and pages of David Copperfield, lots of Middlemarch, Carlyle, Mill, Ruskin, John Henry Cardinal Newman, a number of lyrical passages from Doctor Zhivago. Jane Austen in particular, and most of all her delicious comedic forays. Her tender skewering of Mr. Woodhouse, her ferocious floggings of Mr. Collins and Lady Catherine de Bourgh, her patient indictments and wise defenses of Emma. There came a day when Diana thought we could have but one more reading. I decided to bring to him passages from his own works that I most admired. This impulse touched him. He moved his right hand across his heart when I explained my purpose. I remembered vividly what he had said earlier about the importance of “deep imagining.” So I concluded by reading Tolstoy’s ingenious comment about poor Alexei Alexandrovich in Anna Karenina: He was totally lacking depth of imagination, in that inner capacity owing to which the notions evoked by the imagination become so real that they demand to be brought into correspondence with other notions and with reality. I told him how powerfully he and Diana had given his students, had given all of us, access to that degree of depth, that bedrock of intentional empowered imagining. He raised his hand from his blankets, passed it again across his heart, then held it upward in acknowledgment and farewell. That was the final time I ever spoke to or saw Lionel Trilling. Professor Trilling’s passing shocked our academy. For decades he had been the soul and the pride of Columbia University. He was not replaceable. Colleagues grieved his loss, and mourned him. In our class the day following his death many of his students cried openly. The loss of any other of their teachers could not have afflicted them in that manner. Throughout the remainder of my service at Columbia I visited with Diana irregularly but often. In 1977 I left to teach at Tulane. We exchanged letters and spoke frequently by telephone. In 1982 I accepted an appointment in Hong Kong. We continued to correspond. After her vision failed I telephoned from time to time to hear her voice, ask how she was faring. She was fascinated by Hong Kong and China. Initially in her letters, later in our telephone talks, she rained upon me questions copious, complicated, searching, altogether sage in scope and scale. It was a joy to reply to her. I did not see her again after I departed from Columbia. Nor have I ever returned to service at the university. Diana passed away in 1996. Edward W. Said and Quentin Anderson died in 2003. 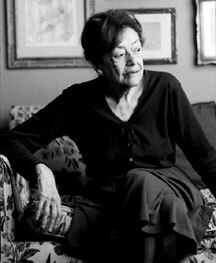 By any conventional measure – time spent together, mutual human routines, repeated regularized social congress, common causes and committees, shared habits and hobbies – I did not know Lionel and Diana Trilling well. But I knew them in their life as souls. And when I was a young man I admired and loved them with all my being. I still do. They inspired me, and they still do. I honored them and longed to be worthy of them, and I still do. Lord Byron begins Don Juan with the wonderful line: I want a hero. He goes on to call this an uncommon want, but I think it is universal and I know it is essential. In our youth we long to discover models of distinction who awaken our latent capacities, show us heights we otherwise would not conceive, summon and free our inborn craving for dignity, aspiration, endeavor, and achievement. How good it is for an earnest young person to esteem adults manifestly nobler than oneself, vow to emulate them, strive to earn their notice and support. Revering authentic heroines and heroes arouses and makes active our innate need for just cause and right hope. Idolizing not peers but elders wise and worthy engenders young souls’ trust, seeds young minds’ faith and ambition, gives young hearts course and compass. The experience of having our moral imagination called to action is one of life’s most powerful and persisting blessings. Every civilization depends upon this momentous but ever rarer spiritual transference. Lionel and Diana Trilling created many legacies. In my judgment the most important was the impress of their example upon the many young women and men who were fortunate enough to have known them, however slightly, to have studied formally or informally under their tutelage, and to have molded their sensibility and conduct in measure large or small upon their extraordinary example. I think Lionel and Diana were conscious of this, their highest philanthropy. I believe they were quietly aware of it, humbled by it, understandably a bit frightened by it, and individually and together committed to serving it. In 1981 George Harrison wrote a sublime song in memory of John Lennon. With the intention of referencing Imagine, John’s most celebrated poem, he created a prayer called All Those Years Ago. Heartbreak rending his lovely ethereal voice, George tells his murdered friend he was the one who had imagined in their earliest manhood everything that he now and forevermore holds most dear in life. When I think about Lionel and Diana, as often I do, when I miss them, as always I do, I hear George’s prayer for John. I know that, for me, as for many others, Lionel and Diana imagined and lived a heroic ideal of sentience, reason, learning, responsibility, graciousness, craft, and service. A life of kind, profound, and impassioned goodness. As a young person and to this day, I have regarded Lionel and Diana less as world-historical public intellectuals than as avatars of love. Their love for one another makes metaphor for what is possible between woman and man. Their love of cultivation, connection, and community makes metaphor for what is possible among all humankind. She was committed to the ideal of ‘intelligent love,’ according to which the deepest and truest relationship that can exist between human beings is pedagogic. This relationship consists in the giving and receiving of knowledge about right conduct, in the formation of one person’s character by another, the acceptance of another’s guidance in one’s own growth. The night before I began writing this elegy to my teachers, I saw Lionel and Diana in a lengthy dream. I never will forget them, but awake or asleep I rarely visualize them. In the dream they were together, ephemeral and evanescent as vision incarnations usually are, but joined side by side as for so many years they had been during their lifetime. They hovered there in dreamscape, radiating their unique and to me indelible composure, wisdom, dignity, and distinction. Unusually for epiphany visitations, their eyes were markedly bright. They smiled at me, beamed really, and Lionel nodded vigorously several times. I hope their unexpected appearance in my overture dream means Lionel and Diana receive this essay’s celebration, know its love, approve its purposes, and forgive its violations of their privacy. Trilling, Lionel. Sincerity and Authenticity (Cambridge, Harvard University Press, 1971), p. 82.